The 2018 Porsche Cayenne carries a price tag ranging from Rs 1.19 crore to Rs 1.92 crore (ex-showroom). Porsche first showcased the new Cayenne in August last year and since then have been adding new variants to the line-up. 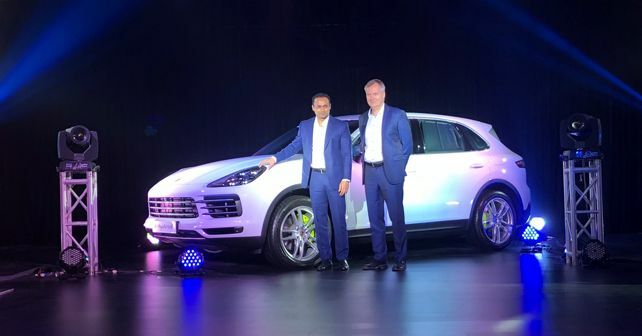 This third-generation Porsche Cayenne has been launched in three variants - Cayenne, Cayenne SE Hybrid and Cayenne Turbo - in India. The new Cayenne has a lot of design elements that reflect its ancestry, but at the same time, Porsche has managed to make it look fresh. The Porsche Dynamic Light System (PLDS) or the Matrix LED headlamps up front, the new sleek tail lamps that run across the width of the tailgate and an overall sharper design language. The new-gen Cayenne is larger than before - 63mm longer and 45mm wider - the wheelbase, however, remains unchanged at 2,895mm. But the real beauty of the new Cayenne is under the skin. This is an all-new Cayenne with the chassis developed from the ground up. Porsche claims to have shed nearly 64 kilograms from its predecessor. The 2018 Cayenne also features a lot of new gizmos like adaptive air suspension, 4D chassis control, and for the first time ever, rear axle steering. The Cayenne is being offered in a range of V6 and V8 engines. The standard trim will come fitted with a 3.0-litre V6 mill that develops 335bhp and 450Nm. The SE Hybrid and Turbo come with a 4.0-litre V8 motor. In the SE, the powertrain develops 456 bhp, while Turbo puts out 542bhp and 770Nm.